The Cabal have incited riots in Zimbabwe in an attempt to disrupt the election. Paid actors were brought to the streets of Harare to rile up MDC Alliance supporters and attack the military. Mnangagwa's government is being condemned by the mainstream media for opening fire on protesters. 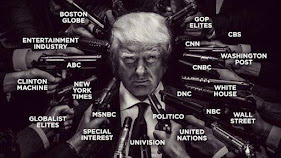 What is condemned by the mainstream media is the Cabal's doing. Mnangagwa has been informed that the ZIDERA amendment bill was privately signed and passed allowing Zimbabwe free reign over their assets. Mnangagwa is working closely with the Elders to release Zimbabwe's assets to the world through GESARA via the QFS. The public announcement of the signing and passing of the ZIDERA amendment bill is currently pending. The ZIDERA bill was passed in 2001 (right before 9/11) to put a choke hold on Zimbabwe. This paved the way for the Cabal to rob Zimbabwe of its assets/resources. "Give a man a gun and he can rob a bank. Give a man a bank and he can rob the world." All bills and laws that were passed to serve the Cabal's agenda is being reverted before our very eyes. According to sources, high level humanitarian organizations have been put on an hourly notice for the RV release by the AoP (Authors of the Plan). The RV can be expected to begin at any moment as of now.